Spacious and spectacular! Sweeping Puget Sound, Olympics & Ferry crossing views . Nestled high on double dead street bordering quiet City property. Garden club grounds, 3 car attached garage. 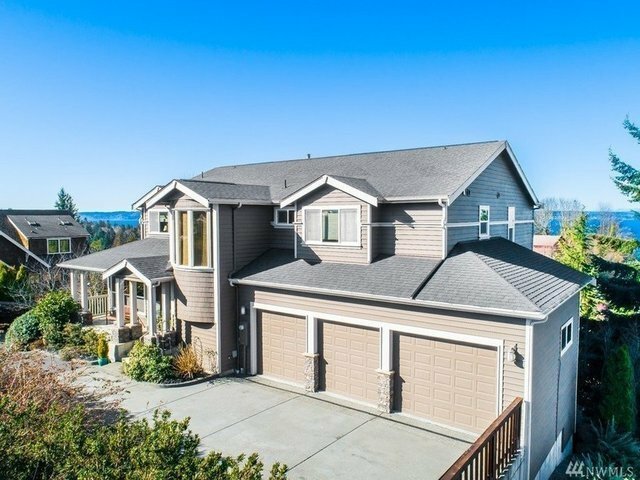 High end features, elegant entry, cherry granite & professional grade stainless appliances, family room off kitchen 9' ceilings Huge master suite, master bath dining room all oriented toward Puget Sound views, daylight lower level media room, office or 5th and 6th bedrooms. 3 gas fireplaces.